Just like a dream, I was recently invited by Swiss Tourism, Maison de Voyage and Rock-On Holidays by Thomas Cook India to experience Switzerland in a unique way. While enough has been said and written about the romantic / family vacations of Switzerland our idea was to leave out all the famous / touristy activities and instead explore this country through a new lens i.e. through the eyes and activities of a single budget traveler. 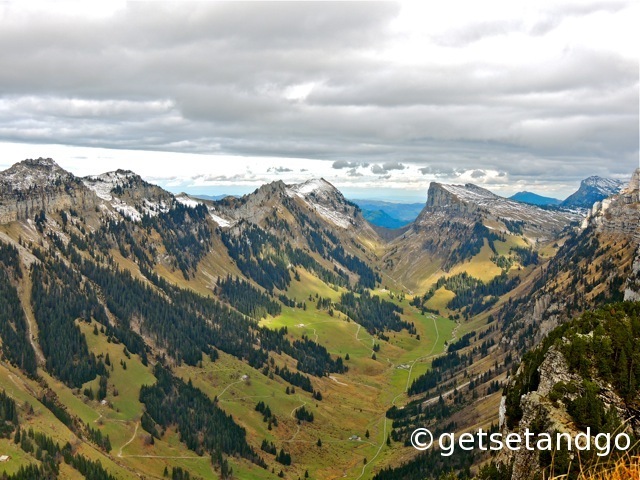 Hence our itinerary included all kinds of adventure sports, walks and many new experiences that people normally don’t associate with Switzerland. And I continue my tales from where I left it in my previous post. After an exhilarating experience of Paragliding we met with our local host and guide for the Niederhorn day trip, Martin. Now Martin, as we realized later on, is a man of many talents – a descendant of the original Celtic tribes, wears many hats (in tourism, real estate, media, photos, TVs etc) and has an answer to every question that anyone can possibly have on Switzerland. We met Martin in Interlaken and after a round of introductions set out for Niederhorn. 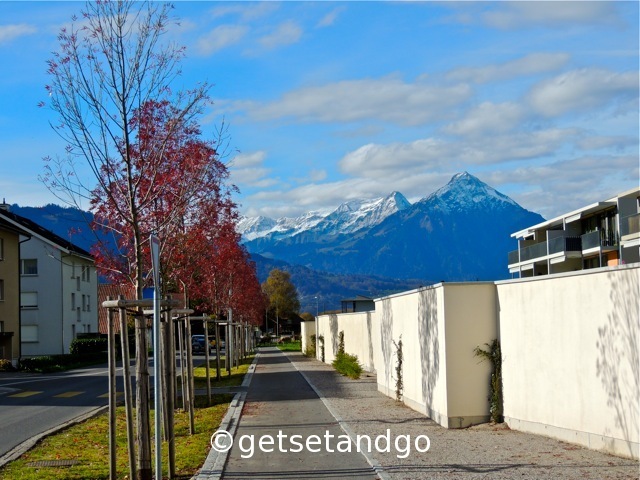 We had to take a bus from Interlaken but since there was some time before the next bus, Martin suggested that we walk a bit through Interlaken and Untersee and then take a bus from the closest bus stop. Hence we had a nice long leisurely walk through this area with Martin answering all our questions and telling us interesting local facts and stories that you would never know otherwise. 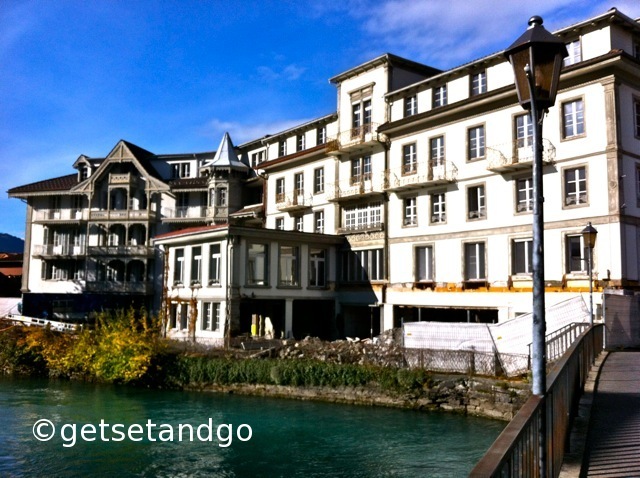 For instance, Martin told us that in the olden days the main city in this area was Untersee and Interlaken was its suburb and not the other way round, as it is today. He also showed us the oldest lane (where horse carts would drive in from), some really old houses, Swiss pride in their flowers, flags of each municipal area, etc etc. 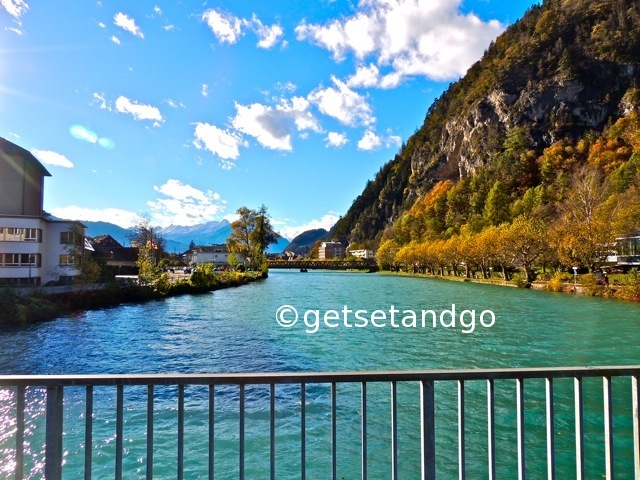 I really enjoyed these facts as it helped me get to know Interlaken as a normal every day town and just not as a picturesque touristy hub that it is perceived to be. After an hour-long walk, we reached the nearest bus stop and took a local bus to Beatenbucht, one of the most scenic bus stops that I have seen in a while. 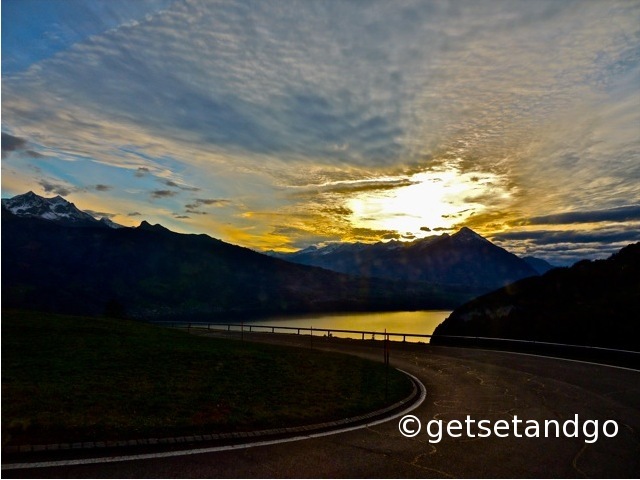 It was at the edge of Lake Thun with the city of Thun on one side and the Alps all around. We just crossed the road, collected our tickets from the funicular station and then took a funicular up to Beatenberg. 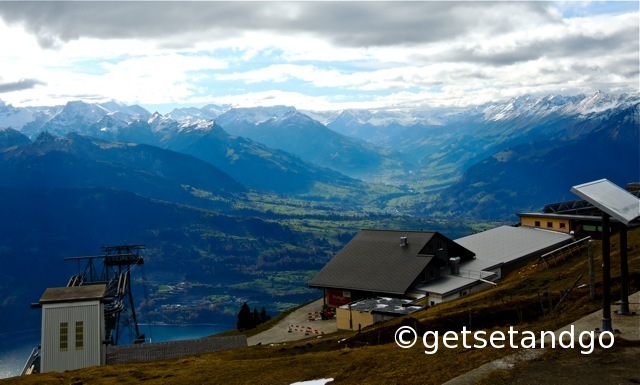 Then from Beatenberg we took a picturesque gondola ride up to Niederhorn. 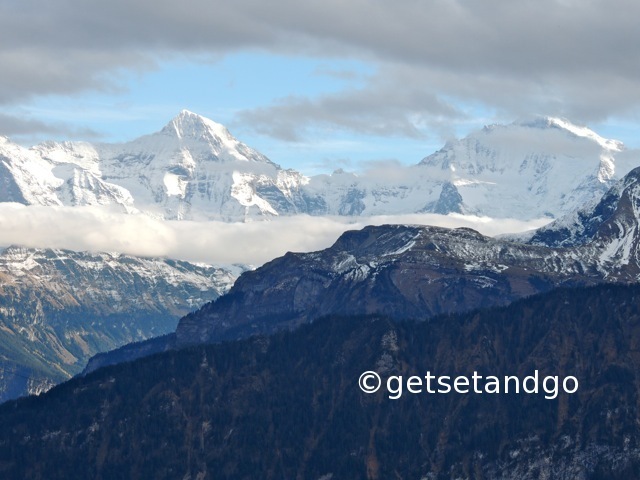 Niederhorn is a peak of the Emmental Alps in Bernese Oberland region with glorious views of the Alps all around, Lake Thun, Aare and Justis valleys and the Hogant and Brienz ridge. We walked all around here and enjoyed the gorgeous views at every turn. We also saw the city of Bern (at quite a distance). 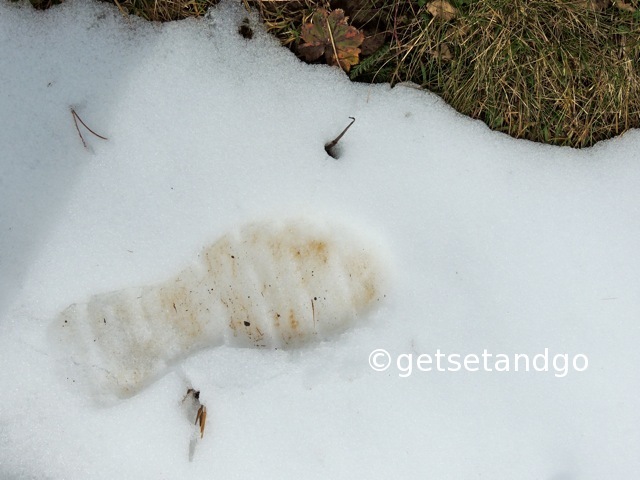 I also saw my first small patch of snow and couldn’t resist stepping on it to get the same effect as man’s first step on the moon 🙂 I find it difficult to describe this place and the views in words, hence I am just sharing my pics with you for you. After all our walking, viewing and photographing was complete, we decided to have lunch at the only restaurant here, Berghaus Niederhorn. This is a small restaurant near the gondola station with glass walls and stunning views of the Alps all around. They have quite a few vegetarian options available too and we had a full meal of samosas with rice, pastas and the swiss rosti. Having a meal here was like sitting in a valley and enjoying a picnic with snow-covered peaks all around. 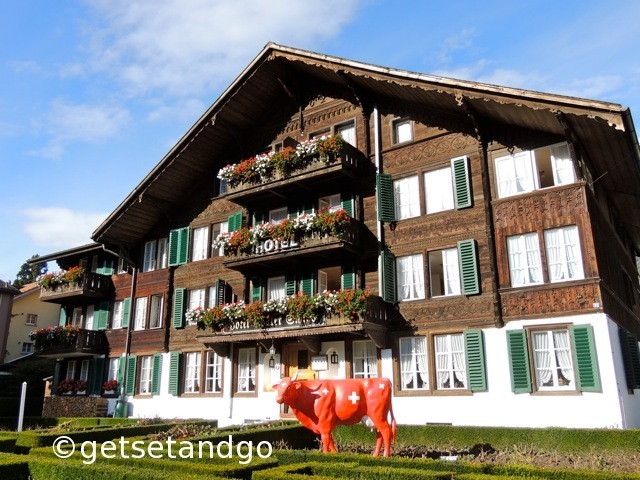 Berghaus Niederhorn also has options of overnight stays with rooms and dorms. And if I ever get a chance again, I would love to stay here and watch the setting sun from these glass windows against this beautiful Alpine backdrop. There are numerous trails to hike around here too that I would have loved to explore (and many people were doing that) but we were short on time and wanted to try a hand or rather a leg at trotti bikes. Hence after lunch we took a quick gondola ride to a middle station, Vorsass and then collected our trotti bikes. So what is a trotti bikes? A trotti bike is a mix between a mountain bike and a Razor scooter. The wheels are designed like those of a mountain bike, but they’re much lower to the ground, and there’s no seat. Instead you have to balance standing on the thin scooter platform and steer with the handlebars. The trotti bike takes some time and practice to get the hang of it, but the key is in balancing. And once that’s done, speeding down downhill on it can be super fun. 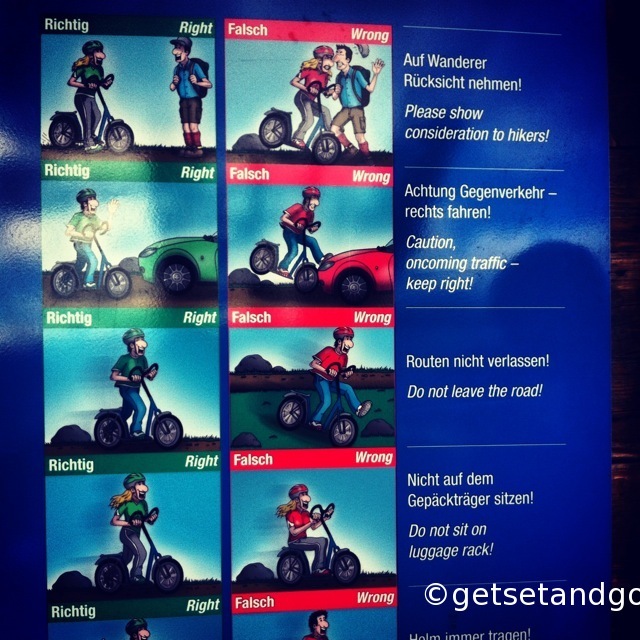 We quickly collected our bikes, quickly read the rules and then started the ride. For these rides, there are two trails to choose from, the short and steep, Direttissima (6 km) and the leisurely, Flanierama (12 km). The routes for both are clearly marked. We chose the shorter route and started the ride. And believe me, riding this bike is not as easy as it seems. I just didn’t get a proper hang of it and struggled with it, but Sonali and Sameer got it and had a blast with it. Well between a mix of struggling, falling, walking and riding, I managed to reach the base station of the funicular at Beatenberg and returned the trotti bikes. Even though I struggled with these bikes, they were fun and the views all around were gorgeous. We also rode through the local villages, saw the beautiful wooden houses, the local fields, people, pets etc and shared a glimpse of the everyday life of these locals. 1. 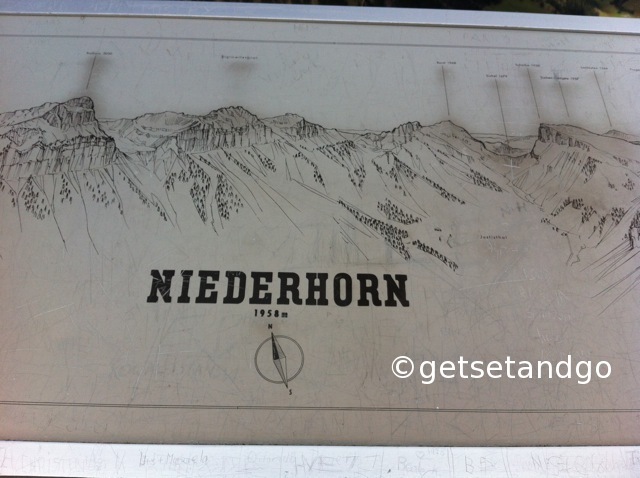 How to reach Niederhorn – From Interlaken or Thun, you can take a bus, car or a boat to reach Beatenbucht. From Beatenbucht you can take a funicular or continue in the bus and reach Beatenberg. 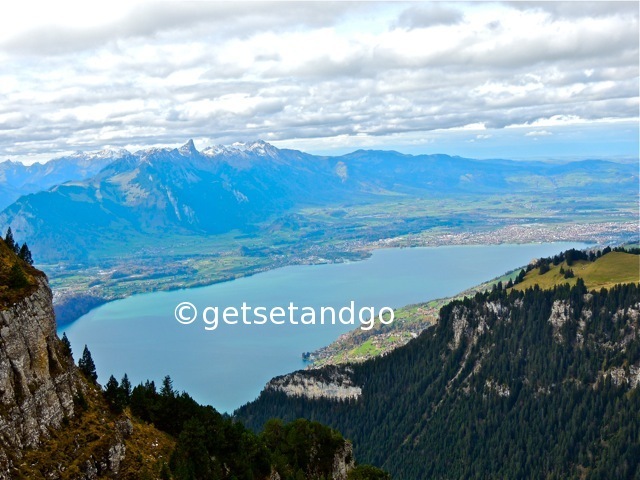 From Beatenberg you can take a gondola upto Niederhorn. You can also come mix parts of these routes (downhill) with trotti bikes or walk. 2. Activities – In summer you can the lengthy ridge hikes, observing ibex, herbs and cave excursions and trotti bikes. And in winter you can try skiing, hiking in the snow, toboggan run and snowshoe trails. Lol…Thanks and I loved those rules too 🙂 Have you ridden one of these? No I’m afraid with my coordination I might be one of those hitting the car! That is a lovely post with wonderful pictures!